Q. How do I fill out a PALShare Place Hold Request? Red Box: Disregard the fact that it says "0 available from 0 copies of this title". 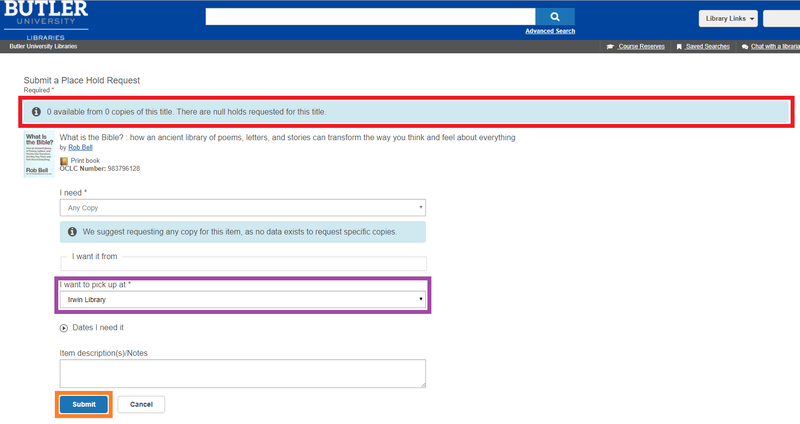 OCLC is working on getting rid of this confusing box. Purple Box: This is the only required information on the form. Select the location, either Irwin or Science, where you want to pick up your item from here at Butler University.